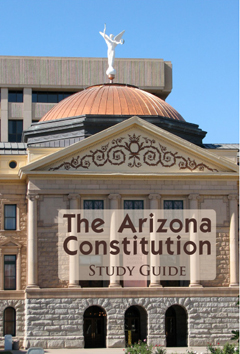 A comprehensive resource to prepare for the Arizona Constitution test. 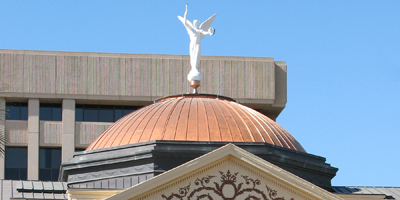 The Arizona Constitution was written in 1910, amended and ratified by Arizona voters and approved by Congress in 1911. On Valentine's Day in 1912 Arizona was declared an equal State of the Union. Since that time Arizona citizens have freely exercised their right to amend the Constitution. The Constitution now has thirty articles and over 40,000 words. This book will help you to read, study and understand the fundamental structure of Arizona's government and the rights and responsibilities of Arizona's citizens and elected officials. Published since 1992, The Arizona Constitution Study Guide has beed used in the classroom and for individual study by thousands of Arizonans to meet the requirements for teacher certification. The 11th Edition has been updated to include changes to the Arizona Constitution through the general election in November 2010.